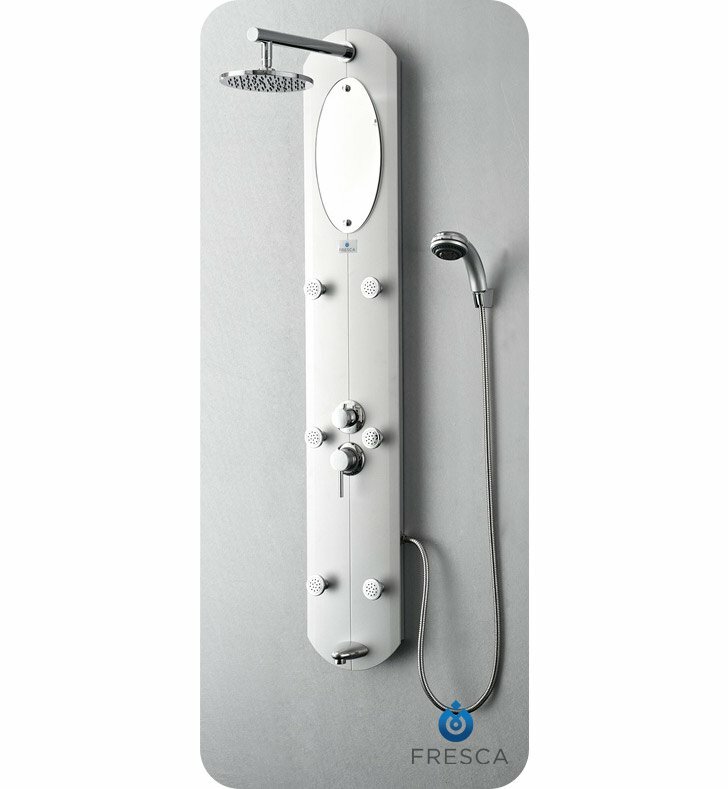 Receive a massage on demand with the Fresca Novara Shower Massage Panel, model # FSP8010SL. Featuring six swiveling massage jets, a large rainfall shower head, a handheld sprayer and a tub-filling spigot, this H 59" x W 10" x D 18" shower massager hits all the right places. A master control lets you select the perfect water pressure and temperature for each feature. Sturdy, waterproof PVC construction provides durability, and a sleek silver finish with an inset mirror provides style and sophistication. Dimensions: H 59" x W 10" x D 18"
New install in renovated bathroom in 99 year old townhouse. Works just as expected. 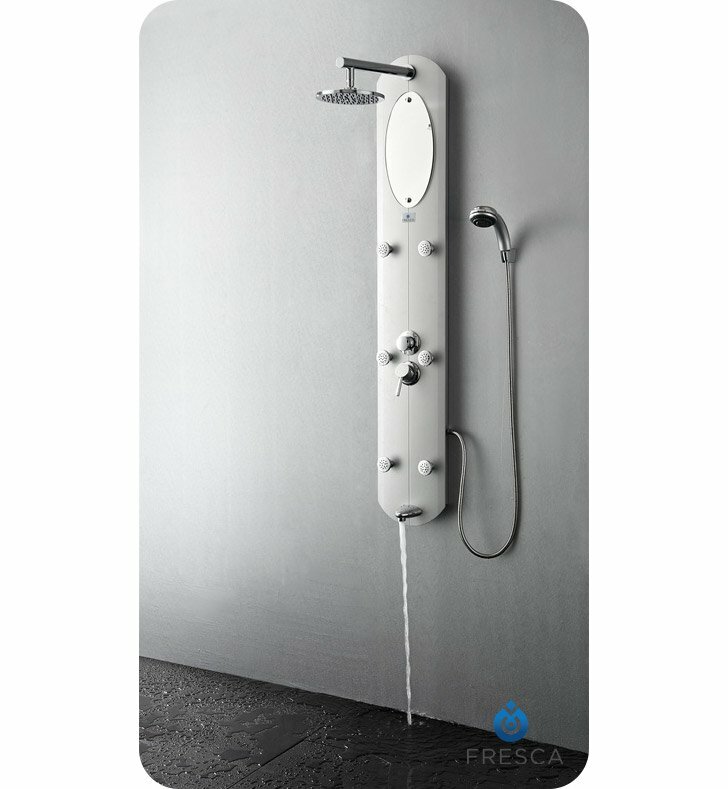 Easy install, but your plumber should check the brochure for correct placement of rough-in before you finish any walls.